Vovlo’s reputation as a pioneer of safety is very well deserved. In fact, they invented the 3-point seat belt and let all other car manufacturers use the technology for free, just for the sake of making all cars more safe. 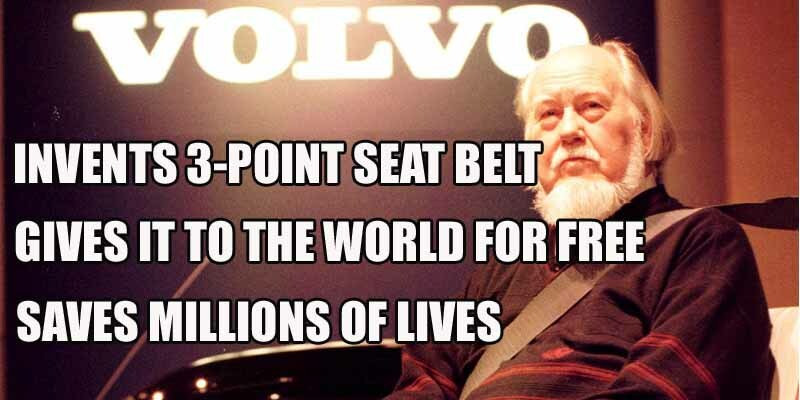 The technology was invented by Volvo engineer Nils Bohlin – a name that not a lot of people have heard even though his invention saved over a million lives since its inception by Volvo’s estimates.